On this segment of Watch!! (bringing you full Jekyll and Hyde movies that you can watch online for free) we present to you the Dr Jekyll and Mr Hyde starring Anthony Andrews. 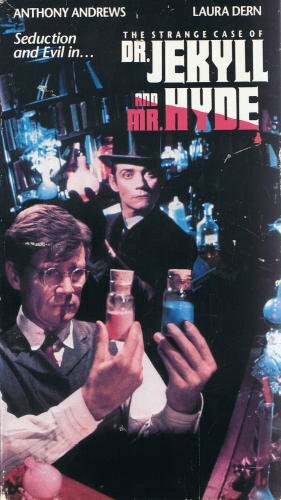 As always, there are countless more Jekyll and Hyde film adaptations that are linked to on this site, for your viewing pleasure. Henry Jekyll is a rather shy and meek man who finds himself being put down by his acquaintances and colleagues, so he summons up the muster to try the potion of his own creation, and he transforms into a young man, utterly confident and utterly sadistic. The embedded video is a playlist of all the parts of the movie, so all you have to do is press play, sit back and let it unfold. Hope you enjoy it, and if you have any responses, comments, opinions or questions about the film please post them below.